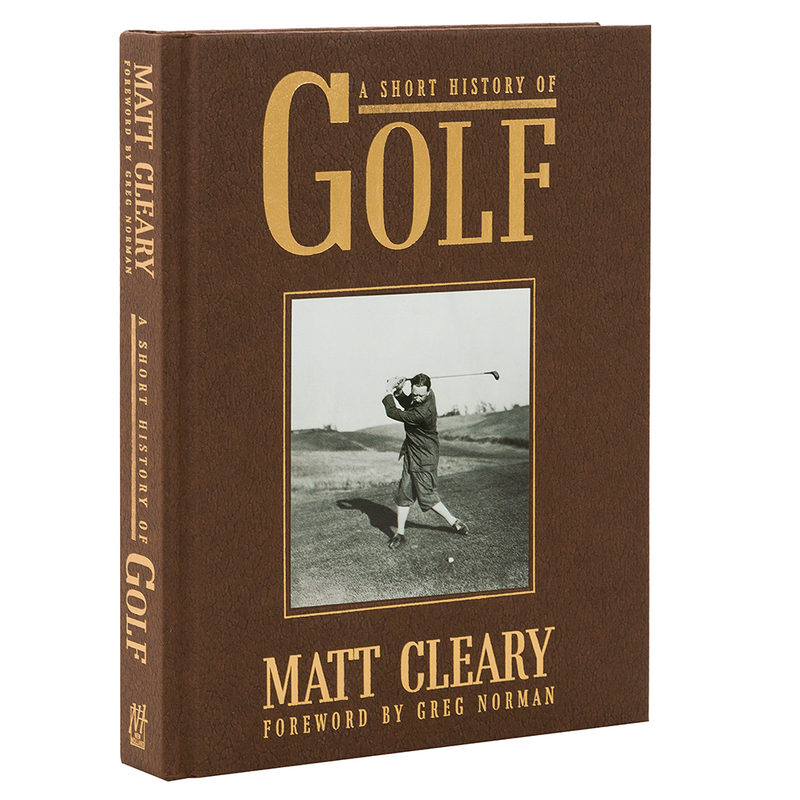 A Short History of Golf by well known sports writer, Matt Cleary, tees off with some fascinating facts about the game including that it originated in the Scottish Kingdom of Fife, during the 15th century. Players would hit a pebble around a natural course of sand dunes, rabbit runs and tracks using a stick or primitive club. In the 20th Century, however, as golf spread around the world, it became not only a popular recreational sport but a multi billion dollar industry. Players including Ben Hogan, Byron Nelson, Sam Snead, Walter Hagen, and Gene Sarazen became cult figures in professional golf circles, but the advent TV in the second part of the century took golf to a whole new level. Arnold Palmer, Jack Nicklaus, Greg Norman, Tom Watson, Lee Trevino, Nick Faldo and Tiger Woods took the game to the masses and made the sport an art form. This book plots a hole in one as it charts the course of golf history and even those who are not addicted to the sport will find it fascinating. Filled with colourful stories of the history of golf and some of those who have excelled at it over the years. Chapters include Oiutliers, Augusta Dreamin’, Creators, Kids and Tiger Killers. Forward written by Greg Norman. Dimensions: 15.2cm (l) x 20.5cm (h) x 2.5cm (w).